With the added dynamic control of the X Series preamp, the 81X takes the classic 81 to a new level of tone. Utilizing powerful ceramic magnets and close aperture coils, the tone was designed with detailed intensity, incredible amounts of high end cut, and fluid sustain. Traditionally used in the bridge position of your guitar, this humbucking pickup will make your leads slice right through even the densest mix. When used in both neck and bridge positions the sound can only be described as blistering. Other recommended pairings include the classic 81X/85X setup and the versatile 81X/60X combo. EMG's solderless installation makes swapping your guitar pickups easier than ever. This is everything I had hoped for very clear with high gain and very punchy proud cleans. 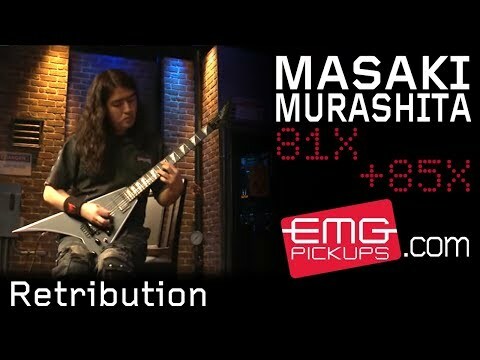 this pickup is my first EMG product and will most definitely now be my last. I put this in a custom hand made telecaster and wow really brought it to life. An instant improvement in the sound of my LTD EC 1000 Deluxe, over the stock 81, in the bridge. Just installed an 81X in bridge position and an 85X in neck on an LTD EC-256....WOW....guitar came to life! These are very defined and clear! LOVE THEM. I've been admin about using EMG's since I started playing music. Nothing could beat an 81... until the 81X made its debut. I've used the X series for years and multiple guitars now. Improved the clarity of my tone without having to switch up tone settings. SIMPLY AMAZING! Easy to install, instant upgrade to my sound. I put one of these in the bridge location of my ESP EC-50. Instantly my sound was changed into a crushing metal sound with reduced noise. The sound quality of a $399 is now easily that of a $1200 guitar. 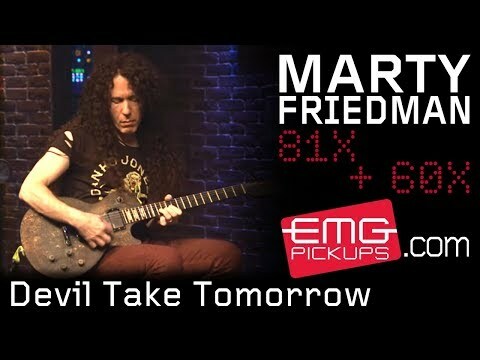 I put this pickup in two years ago. It has such a great tone. I love the tight focused attack you get with high gain tube amps. And the subtle roar on medium low gain. The cleans sparkle and ring with great clarity. Since installing this pickup I have not had any problems and the tone has always been consistent. I like this pickup so much more than the regular 81. These were both my first EMG´s and my first active PU´s. And they met all my expectations. 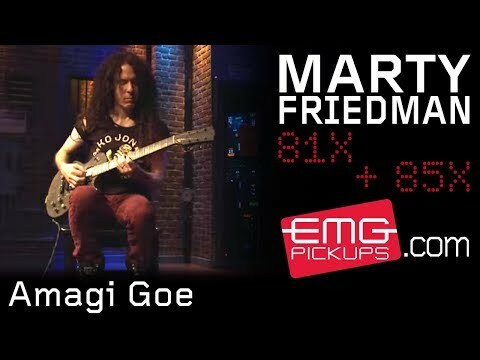 You will never regret buying an EMG X...ever! EMG is going in all my guitars from now on.